17 November 2009: What characterizes the local governance system in the United States is not only fragmentation of governmental units, but increasing fragmentation of service delivery. This has been more extreme in metropolitan areas owing to the rate of population growth following the end of World War II. In this article, Mayraj Fahim argues that, however, now is the time for inter-governmental cooperation and collaborative service delivery. Fragmentation of service delivery has been illustrated in two surveys. One such has been on alternative service delivery by local governments, which has been conducted by the International City County Management Association (“ICMA”) every five years. The other is conducted by the US Census Bureau. As noted in an article entitled “Trends in Public and Contracted Government Services: 2002-2007” by Mildred E. Warner and Amir Hefetz, the ICMA 2007 survey revealed: “public delivery is still the most common form of service delivery at 52 per cent of all service delivery across all local governments on average. Intergovernmental contracting at 16 per cent and for-profit privatization at 17 per cent are the most common alternatives to public delivery. Non-profit delivery at 5 per cent is next, and franchises,subsidies and volunteers collectively account for less than 2 per cent of service delivery”. What is not indicated by the ICMA survey is the part played by special districts in the public delivery of services. However, the Census Bureau surveys have found that special districts are the fastest growing types of local government. It is in the use of special districts where a massive divergent trend exists between Canada and the United States. As stated in 2002 Census material: “The number of special district governments has seen a nearly three-fold rise, from 12,340 in 1952 to 35,356 in 2002.” [See: “Government Units in 2002,” Issued July 2002]. While special districts have multiplied, the number of other local governments has decreased. A recent article calling for a review of the role of special districts in local governance has also pointed out with reference to Census survey data that “[b]etween 1952 and 2002, three types of local government (counties, towns or townships, and school districts) decreased in number”. The same article further noted that during the same period only municipalities and special districts grew in number. Yet where municipalities grew by almost 16 per cent, special districts increased in number by 184 per cent. [See: “Three Reasons to REVISIT Special Districts”]. He further contends: “States face a trade-off between maximizing agglomerative and sorting efficiency in deciding how much power, and which responsibilities, to allocate to local government. The need to balance these two conflicting sources of efficiency and changes in the nature of agglomerative gains over the last hundred years explains a great deal about the history of American local government law, current allocations of power between local governments and state legislatures, judicial decisions about local governmental power and the proper role for the federal government in policy areas, like housing and transportation, that are primarily regulated at the local level.” [See: “The City as a Law and Economic Subject”] In conclusion, Professor Schleicher’s hope is that his paper “will point the way forward on how to understand the interaction between competition between localities and broader questions of regional economic development. Local government law has ignored developments in economics for far too long, to the detriment of legal and economic scholarship and national public policy”.. The author would add that other countries have already made clear that they understand agglomeration economics and have sought to balance the “trade-off between maximizing agglomerative and sorting efficiency” - to employ the terms used in his paper. As indicated by recent New York state policy changes, some states are looking at special district reduction as they seek local governance unit consolidation, even if others are not - as yet. [See: “Town Special Districts in New York: Background, Trends and Issues”. Office of the New York State Comptroller]. Kathryn Foster, the author of some substantive work on special districts, was in 2007 a Governor appointee to the New York State Commission on Local Government Efficiency and Competitiveness. [See: “The Political Economy of Special-Purpose Government”]. In a recent article she expressed herself thus: “The challenge is not to focus on how many local governments are in existence, but on how to best deliver government services." [See: “State makes it easier to bring issue to a vote”]. Interestingly, she also raises belatedly the issue of the need to apply thoughtfulness in devising a local governance formula, something that British Columbia did in the 1960s to craft its policy - and which New York and other states have generally avoided until now. Accordingly, she insisted: “[w]hat kind of government system would you get if you started from scratch should be the challenge for reformers”. While interlocal cooperation took off in the mid-20th century - and privatization first emerged in the 19th century (when it became the preferred form for service delivery by cities - [See: “The Origins of Governmental Production: Cleaning the Streets of New York by Contract During the 19th Century”] ,special districts have roots going back to the 17th century, when the special assessment tool was first adopted by New York based on the statute promulgated in England to rebuild London after the Great Fire. [See: Rosewater, Victor: “Special Assessments: A Study in Municipal Finance” p.24] The mechanism of making use of an identifiable revenue source for a special purpose then expanded to other uses such as those exemplified by special purpose governments that can be classified as ‘authorities’, ‘corporations’ and ‘special districts’. Though the 1800s was also the period when special district use arrived in Canada, it nevertheless developed a different approach to local finance than that of the United States, which might have played a part in the different levels of use of the special district vehicle. In the United States, since the 1800s, they were used as a municipal debt financing vehicle - especially with voter-imposed limits on the use of ad valorem tax based on general obligation debt, and then in the wake of California’s Proposition 13 cap on property tax rates imposed by general purpose governments. Nevertheless, as exemplified by the state of North Carolina (see discussion below) special district numerical growth can be prevented from rising exponentially by taking certain precautionary measures. [This state is also rare in that general obligation debt is the primary municipal debt type issued. For further discussion, see the author’s article on North Carolina Local Government Finance]. 1.Fragmentation and overlapping of governmental units. By then in the 212 SMSAs (population clusters classified by the Census as Standard Metropolitan Statistical Areas) some 18,442 local government units served a population of 112.9 million persons (nearly two-thirds of the national population). Twenty per cent of all local governments were located in these SMSAs . 2. Disparity between tax and service boundaries. 3. Metropolitan area problems frequently cross state lines. 13.Oregon (1,034; 2008 est. population: 3,790,060). As disclosed by the states themselves, the Census survey provides a conservative accounting. Hence, whereas the 2007 Census survey identifies 1,119 special districts for New York, the state report on town special districts alone identities more than 6,900. [See: “Town Special Districts in New York: Background, Trends and Issues, Office of the New York State Comptroller”]. The post-second world war period distinguished by metropolitan expansion in America was also characterized by the growth of special districts. Three primary motivations behind this growth have been the desire to provide services to select areas in suburban communities not provided generally (see: “Town Special Districts in New York”); as a response to tax and spending limits imposed by voters voters (See: “The Problem of Being Special: Special Assessment Districts and the Financing of Infrastructure in California”, “Casting Light on Shadow Government: An Exploratory Analysis of Public Authorities in the Southern States”, “Special Districts, Authorities, Corporations, and the Bond Market) and as a mechanism for financing and providing services in new subdivisions (See: "New Bill Seeks Sunshine For State’s Special Districts”). Unlike British Columbia, American states generally did not grasp the opportunity of considering other options as willingly as they permitted the growth of special districts. On interlocal cooperation as an alternative route, although American states have laws supporting it (unlike British Columbia) they have not supported them substantively. California’s ballot initiative Proposition 13 passed in 1978, which placed a limit on property tax rates, had a nationwide influence on property tax rates. The result was local governments’ even greater reliance on special districts. Yet, as revealed by a comprehensive study, services generally cost more per capita when delivered by special districts rather than by general-purpose governments. [See: “The Political Economy of Special-Purpose Government” by K. Foster, Georgetown University Press, Washington DC, 2007]. Since the 1800s California has been using special districts extensively. As noted in a 1994 study: “The total number of special districts has changed very little over the years. From FY 1974/75 through FY 1991/92 it hovered around 4,900 according to the Office of the State Controller. Since the passage of Proposition 13 the number has increased less than 3 per cent. In the period between 1986 and 1992 the number rose slightly.” The study attributed this to an increase in county service areas and joint powers agreements. The study further noted: “[t]here are 66 fewer water districts, 47 fewer sanitary districts and 44 fewer fire districts than there were when Proposition 13 was passed. In the same period, the number of CSAs has increased by 167 and JPAs have grown by 327”. But the number of 4,900 special districts (again more than that identified by the Census survey), places California near the very top of those states using special districts. [See: “Special District Consolidations”]. If California had had a policy like that of North Carolina there would have been a far greater reduction in the number of special districts found there, even by 1994. Until the present time cooperation was most likely in a suburban jurisdiction (16 per cent) as compared with rural areas (15 per cent) and core metro areas (12 per cent). [See: “Intergovernmental Cooperation: Oakland County, Michigan”] As made plain in the presentation by R. Scott Fosler (see below) on regionalism, by the late 1940s 11 states had enabled interlocal cooperation. But since then there has been little dynamic growth in this option. Today, under financial pressure, in self-defense local governments are increasingly considering this option - or being encouraged to consider it by states. [See: “Cash strapped towns look to share services”]. As eloquently stated in a paper surveying the existing literature on interlocal governmental cooperation, Kelly M. LeRoux and Jered B. Carr, said: “Whereas jurisdictional boundaries are clearly defined, the nature and scope of contemporary public problems frequently transcend political and spatial bounds. The complexity of public problems increasingly requires multi-sector and multi- jurisdictional solutions.” [See: “The Social Structure of Interlocal Cooperation in Metropolitan Areas This paper was prepared for presentation at the annual meeting of the Midwest Political Science Association, April 7-10, 2005]. Of course, these contemporary public problems have been in existence for decades and the sentiments expressed are not new. What is missed by those who merely see an imbalance when metropolitan growth is involved is that the need for interlocal cooperation can occur whenever there is a noticeable imbalance within a fragmented local system, as French history has exhibited. There the imbalance was evident owing to the extreme fragmentation that was uniquely French, which led to the implementation of a policy of encouraging interlocal cooperation. With the advent of suburban growth in the 1970s, French policy was encouraged by a further deepening of the use of interlocal cooperation as the means of solution. So by 1 January 2008 “more than 33,500 of the 36,700 French communes, covering around 90 per cent of the French population, were members of a municipal cooperation structure with its own taxation”. [See: “How to restrain urban sprawl? The French way”]. However, in the US (unlike France) where state support is generally invisible, the level of interlocal cooperation and its evolution over time is in a different place. Moreover, as two articles in the current issue of Governing magazine report, the absence of interlocal cooperation can be costly. [See: “In Memphis, a Plea for Regionalism” and “How Bureacracy and Bickering Brought Down Niagara Falls”]. Nevertheless, the fiscal stress of the current environment is inspiring greater efforts towards increased collaboration; and federal stimulus programs are playing a part in encouraging collaboration for metropolitan improvements, as discussed in a recent Brookings Institution paper. [See: “Implementing ARRA: Innovations in Design in Metro America”] Whether or not this amounts to something that is to be sustained over the years is another matter. As indicated in Oakland County, Michigan, documents there is commitment to an increase in interlocal cooperation but “implementing such arrangements are difficult and take a good deal of time”. [See: “The County’s Role in Inter-Governmental Cooperation”] As pointed out in the presentations of British Columbia officials at the Maine Conference in November 2007: “It’ll happen faster with the means to minimize costs of negotiation, a defined state role for impetus and support, and intergovernmental policy dialogue.” A strategy is required to help officials cope with complexity. [See: “Fostering the Growth of Regional Partnerships”] These generally are missing elements in the American experience. Hence, local governments have found it easier to allocate service delivery responsibilities to special districts and to even contract out their responsibilities. In 1994 an article in Governing magazine by a former city manager of Austin, Texas, mentioned some efforts of the period that illustrated collaboration. The hope expressed by the author was that ‘[t] hese experiments hold the seeds of new structures. What is needed is to learn from these experiments and create a new model for regional governance”. The author continued: “The regions that are first in developing them will be more desirable, sustainable and economically competitive. Regions live or die together. A metropolitan area is one economic, social and physical unit. Communities must find ways to work together. If they don't, their vitality, force and freshness will wither.” [See: “WE NEED NEW WAYS TO GOVERN NEW KINDS OF CITIES”]. As that vitality is more at stake under the onslaught of the current period of financial uncertainty, there are more examples of the type cited in the Brookings paper on how some (unfortunately a minority) were using funds from the American Recovery and Reinvestment Act of 2009 (ARRA) by abandoning “business as usual” in the interests of metropolitan improvement. The scarceness of such innovative efforts was attributed to the need for the pre-existence of a regional vision or plan, as well as strong local leadership - in other words, a productive platform on which to build. Studies have revealed (as mentioned in Kelly M. LeRoux and Jered B. Carr’s paper cited above) that public service officials are more open to interlocal cooperation: “that interlocal cooperation, initiated and facilitated by local public servants, is pervasive across functions and thus may be sufficient for overcoming the problems inherent in what… has [been] described as the ‘fragmented and disarticulated’ state. Whereas electoral motives may preclude cooperative impulses among mayors and others elected within political boundaries, professional public servants have a longer time-horizon, creating incentives for administrators to work together…Therefore, public managers may be better positioned to drive metropolitan governance than any other set of local actors, including elected officials”. With public jobs at risk there should be sufficient incentive for interlocal cooperative action. However, in the absence of a strong foundation or leadership by a local actor (or actors), even the incentives provided might prove insufficient to change the status quo. 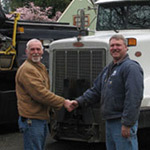 As recent news from New Jersey disclosed, as a defensive default option some local units are considering interlocal cooperation. [See: “Cash strapped towns look to share services”] In New Jersey, the state is looking to restructure governments through consolidation and greater interlocal cooperation. [See: the Department of Community Affairs website for description of LUARCC]. This is the time for state governments to step up to the mark - but they might need some guidance on how to provide the necessary support. Within this void, county governments can provide a platform, and there are models to indicate how this might happen. In the author’s opinion, collaborative service delivery shouldn’t just be viewed as a defensive tool by American local governments. As examples outside the country illustrate, it is a more productive tool in the hands of the ambitious. *Mayraj Fahim, the author of this article, is a local government adviser. Her occupational focus in local government has been in the areas of municipal finance in the United States and in municipal finance monitoring internationally. She also advises on local government reorganization in the United States and internationally. The full version of this article, together with comprehensive reference material, can be obtained free of charge by emailing the editor, with 'Interlocal 2009' in the subject line. Please provide contact details such as name and any organisation. 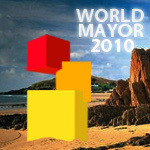 City Mayors awards every two years the World Mayor Prize in recognition of exemplary achievements in local government.